The Professional Regulation Commission (PRC) and the Board for Civil Engineering officially released on Tuesday, November 24 the complete list of passers for the November 2015 Civil Engineer board exam. Armand Hezkel Bangolan Canoy from Cebu Institute of Technology (CIT) topped the board exam with 94.80 percent grade. 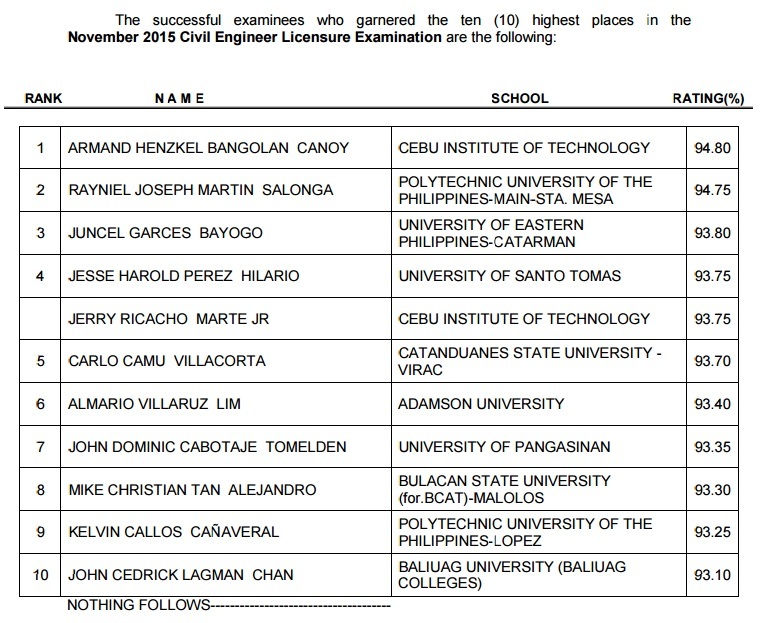 PRC named a total of 3,935 out of 9,482 who have passed the recent Civil Engineer Licensure Examination.